Habitat for Humanity Canada has enjoyed a rich history of success since it was first established in 1985. Volunteers and donors, along with welcoming communities, have built safe, accessible, and affordable homes for hundreds of Canadian families. While it’s easy to point to Habitat’s ‘years of experience’, Habitat Canada’s President and CEO Mark Rodgers says it’s important that we acknowledge the energy and enthusiasm that young Canadians contribute to Habitat Canada. 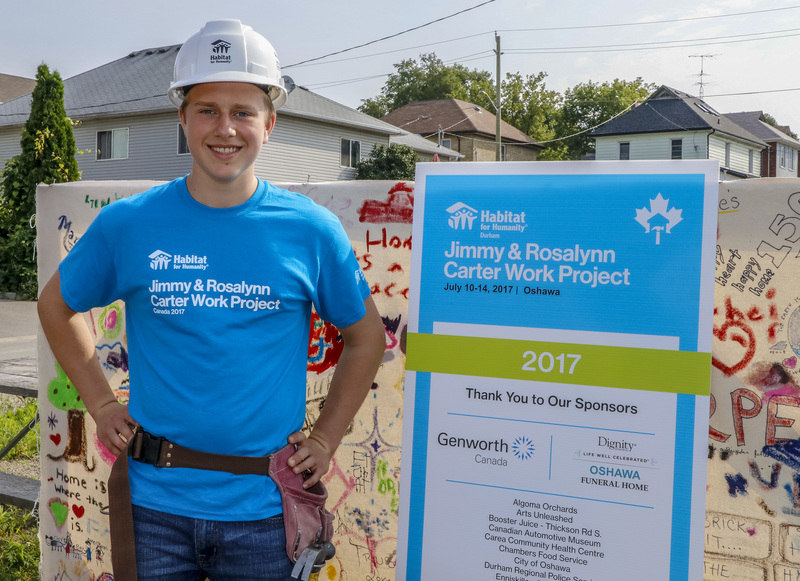 In this episode of The Podcast, we meet three young Canadians who are leaders and examples of the Habitat mission in action. Josh Morrison (above) was 12 years old when he walked into a local ReStore and he decided there and then that he needed to raise $100,000 to build a Habitat home, in pennies! As his campaign gained momentum, a number of donors came forward with cash, cheques, and matching donations. And five years later, Josh raised $120,000 to build a Habitat home in Durham. Peter Oliviera (pictured at left, bottom left-hand) and Alison Kong-Foon (pictured at right) are both engineers who caught the Habitat bug while studying at the University of Waterloo in Ontario. Peter and Alison say their Habitat experience just goes to show that young people can make a significant difference in their communities and in the lives of others who need help. Listen to this week's podcast and hear from Josh, Peter and Alison on how they've made a difference at habitat.ca/thepodcast.